Based in the small Welsh countryside village of Penderyn. The Penderyn Furniture Co. is a family run business residing in an old Welsh chapel in the heart of the Brecon Beacons National Park. We source and restore a wide range of furniture, antiques, interiors and collectables. We have no specific style that we adhere to, (if we like it, we’ll buy it!) but we do have a keen interest in early Welsh country furniture and unusual decorative items. 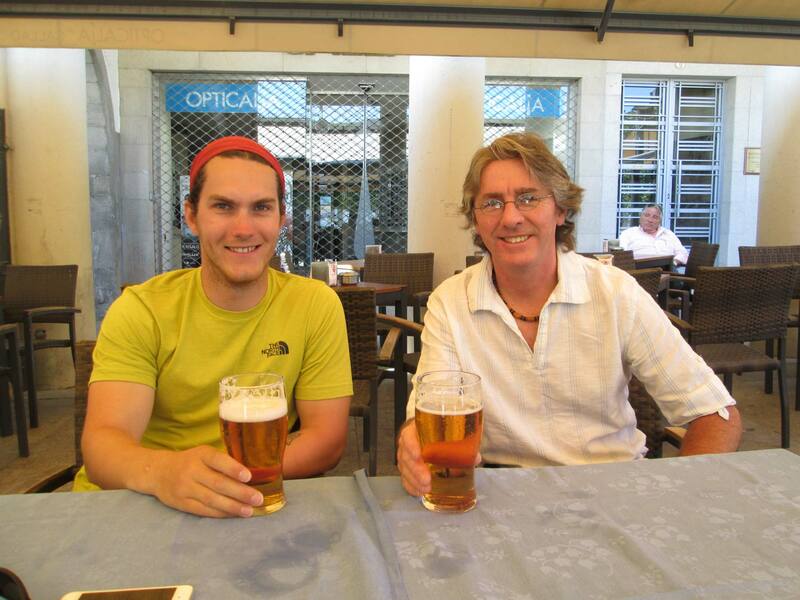 Daniel Bryan and Leigh Rossiter – Owners of The Penderyn Furniture Co. enjoying an ice cold beer after a long day on the Camino de Santiago, 2015. W hile mass production has blessed us with a cornucopia of consumer products and has enriched the lives of everyone, there remains a longing for the imprimatur of the human hand. Increasingly, more of us are demanding greater craftsmanship and individuality in our furniture which will have use for generations to come. 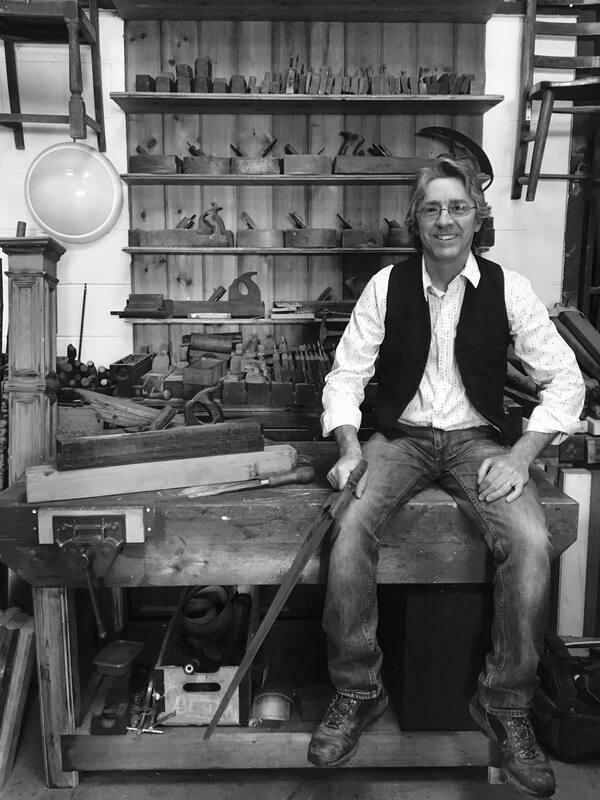 At The Penderyn Furniture Co., along with greater integrity in construction, the search is for natural materials, uniqueness and purity of design. Our aim is simple – to keep tradition alive by creating pieces according to old age designs. Many of us now realise that the decisions we make and the consumer choices we make throughout the day have an important cumulative effect on the quality of our environment, both inside and outside the home. At The Penderyn Furniture Co., we express an indebtedness to those nameless joiners who worked with wood so long ago before plastics and the age of automation. For in building furniture with integrity; so that it will last hundreds of years, they have been our mentors. Their work remains a testament to their commitment to their craft and excellence. Wood is the most used of all our natural resources. We have a duty to recycle, reuse, adapt and preserve it. We must use wood to create furniture that has longevity and combat the ‘throwaway’ society…even though it does grow on trees.. But well I know how it is with me continually. And with its ancient fashioning still dalling. W e live in a waste making society and most of the processes employed by the 20th century woodworking industry have been developed in an effort to eliminate three costly factors; time, labour and talent. A man who is proud of how well he does something responds favourably to something done well. You should always give each piece of furniture as much time as is needed to produce a quality product to be pleased with. Always invest in something tangible, be it a piece of furniture from which you can derive pleasure. His gauge to measure beauty by. Under the rose to bed, content.